GULFPORT, Miss. 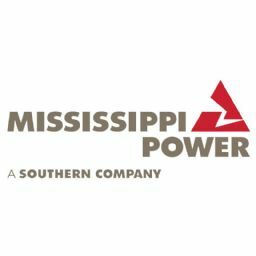 -- Mississippi Power today announced that Emile "Chip" Troxclair has been named vice president of Kemper development, effective immediately. Troxclair will be the executive responsible for leading the Kemper County energy facility project through the final stages of construction and startup, into ongoing commercial operations. Troxclair brings more than 34 years of industry experience, primarily in gasification and power generation, to Mississippi Power. He has held numerous leadership positions throughout his career, including serving as vice president for the gasification technology business for CB&I. Prior to CB&I, Troxclair held similar leadership roles with responsibility for licensing, engineering and operations for gasification technology, which is used to convert coal or petroleum coke into a hydrogen rich, synthesis gas for power generation, substitute natural gas production and chemicals production. Troxclair was also involved in the design, startup and operations of Dow Chemical's first commercial coal gasification facility, and later served as plant manager for Destec Energy's Wabash River IGCC power plant. In this role, he was responsible for all operational aspects of the design, commissioning, startup and commercial operations of the plant, and was later promoted to the position of vice president of gasification. "As we move closer to full operation at Kemper, Chip's vast experience in gasification technology development and deployment, as well as his leadership in startup, operational readiness and plant operations will be instrumental to our ongoing success," said President and CEO Ed Holland. "As a proven leader in managing teams and gasification projects, he understands the complexities associated with IGCC startup and first-of-a-kind projects. Chip will bring that experience to Mississippi Power and lead the team responsible for bringing Kemper online to provide clean, safe and reliable energy to our customers for decades to come." Troxclair holds a bachelor's in electrical engineering from Louisiana State University. He is a native of White Castle, La.